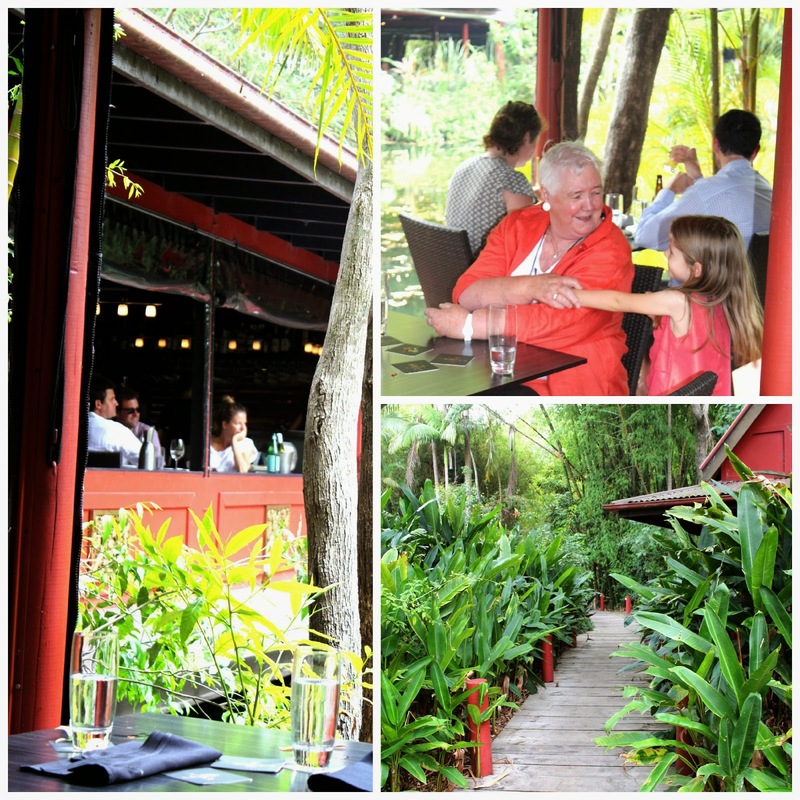 One of the absolute highlights of our trip to the Sunshine Coast, was taking in lunch at The Spirit House in Yandina. 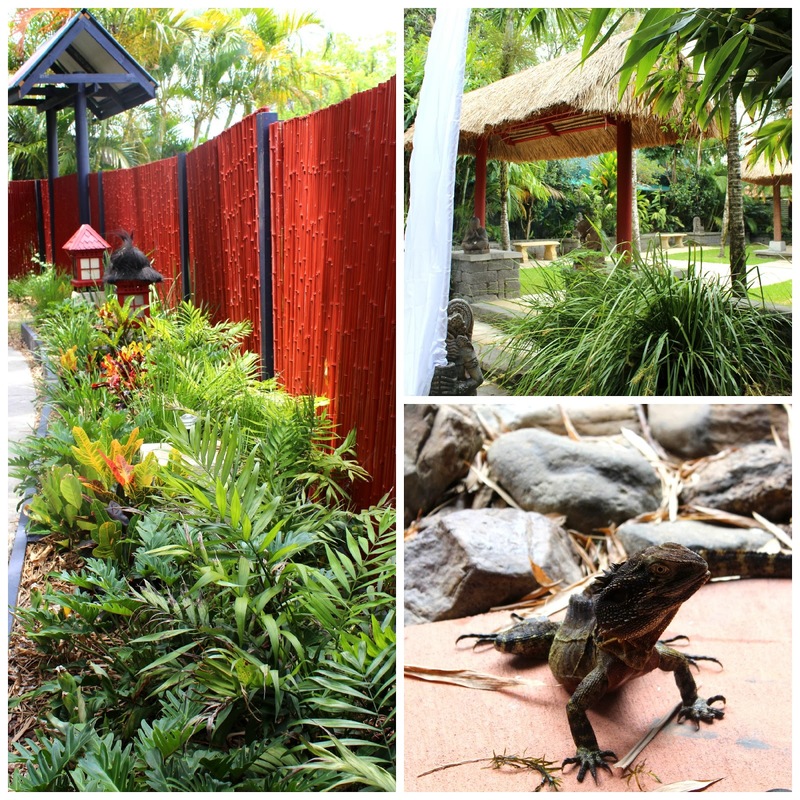 This beautiful compound was but a few paddocks back in 1992, when an ornamental lake was installed and planted out with a stunningly dense tropical garden. Twenty or so years on, this restaurant and it's surrounding gardens are testimony to what can be achieved with ingenuity and passion. From the moment you step out of your car and wander down the enchanting pathway, you will be charmed by the twinkling of wind chimes in the breeze and the fragrance of incense. 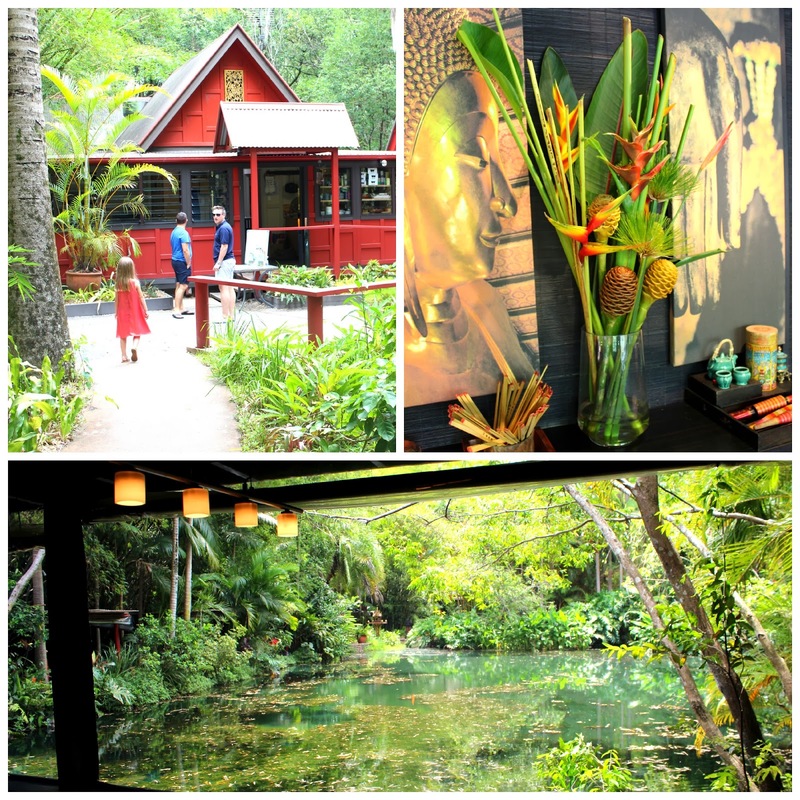 All of a sudden you will happen upon a beautiful overhanging Thai pavilion and paved covered dining spaces, surrounding a beautiful body of still water. The sound of running water in the background, creates a calming influence over the soul. With my senses by now in over drive, I knew we were in for an absolute treat. 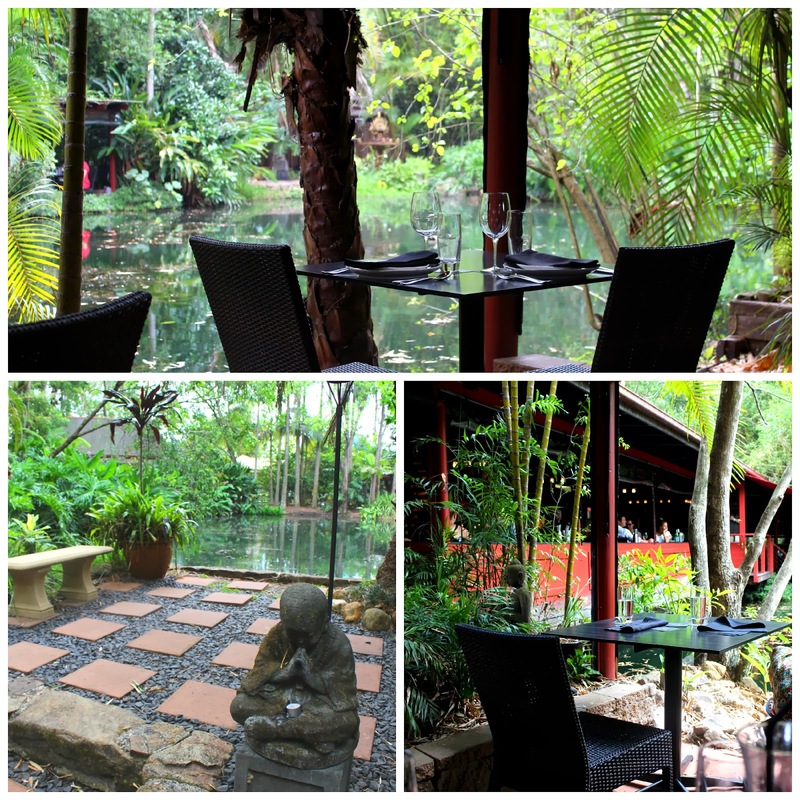 Dining at The Spirit House Yandina, is about more than just great food. It is an experience to tempt all the senses and one that certainly delighted me. 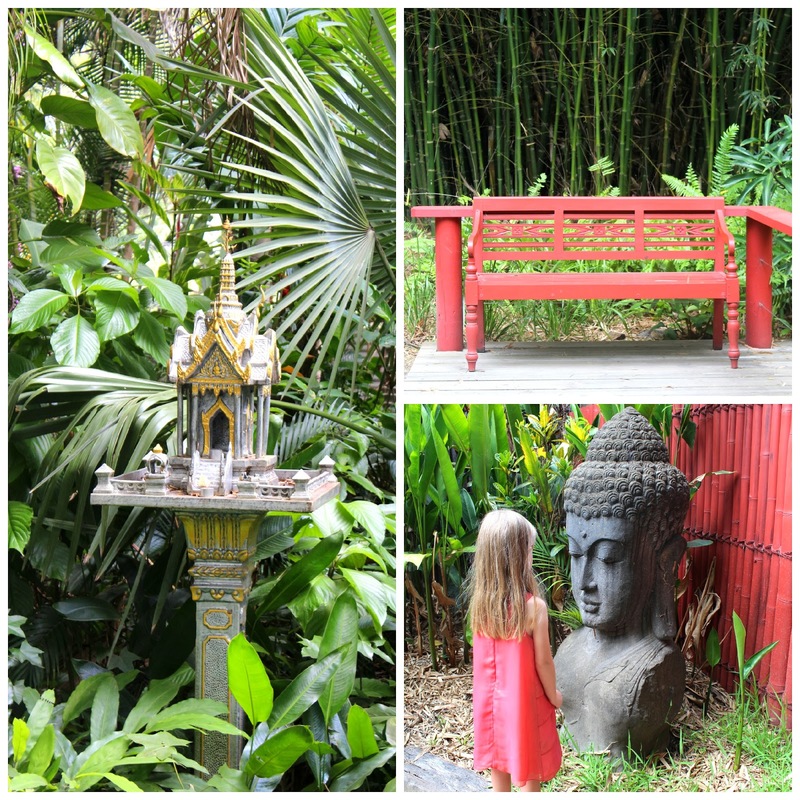 I have also visited The Spirit House by night and that time, I was completely blown away by all the twinkling fairy lights, gracing the lush tropical forest. By day or by night, this is truly one to add to your bucket list. We opted for the Chef's selection Thai Banquet. Basically because after some difficulty finding the restaurant, I just wanted to be looked after. And looked after we were. 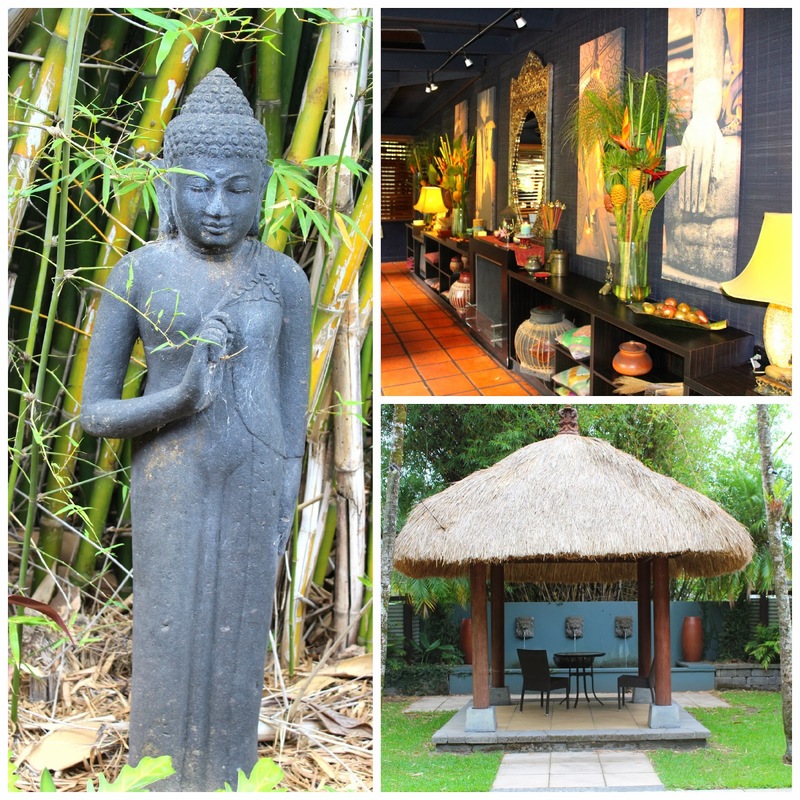 Owing to the beautiful walk through the garden, I was so relaxed by the time I sat down at our table, I did not feel like having the pressure of choosing between all the complex and interestingly described dishes. I eat everything, so was happy to go with the flow. 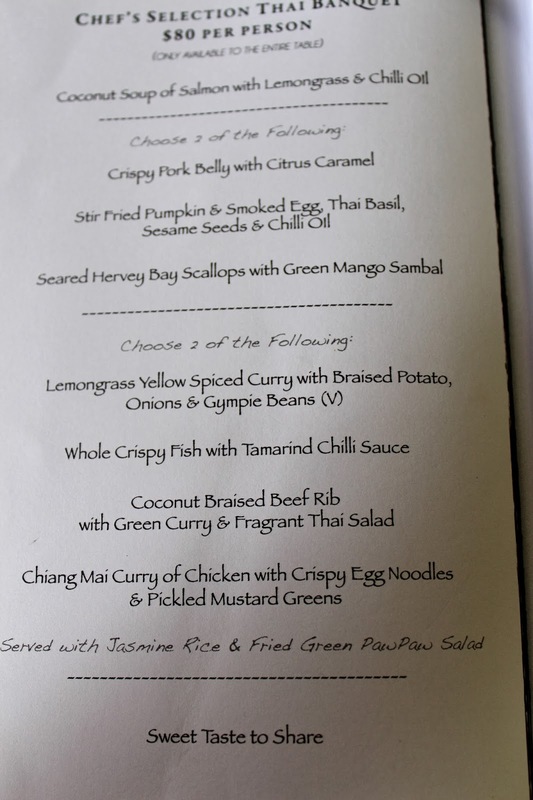 Some choices must be made within the set menu, but they are basically to cater for vegetarians. Apparently there are gluten free options as well and other dietary requirements can be provided for, if the restaurant is informed upon booking. Speaking of booking, you absolutely must. I booked one month out and was told we must be in by 12pm and out by 2pm. We were 15 minutes late due to poor signage and a malfunctioning GPS and there was absolutely no pressure to leave by 2pm, even though the restaurant was completely full on a Monday. I think the food was absolute value for money. All dishes except the beef ribs were exquisite, as they were quite tough. 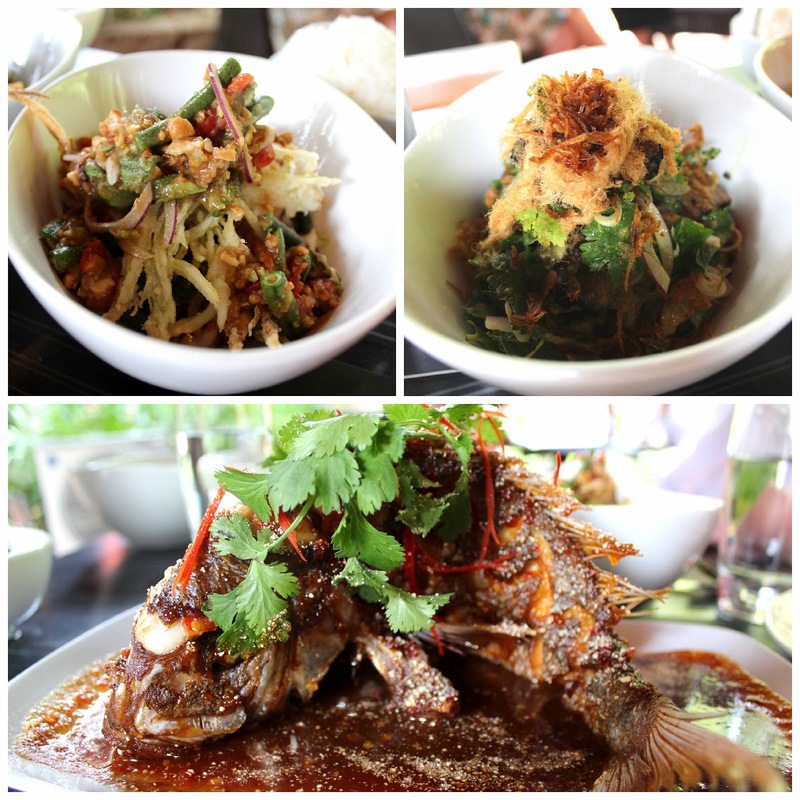 The whole fish was amazing and is a well known signature dish at The Spirit House. The deserts were sublime and greatly influenced by mild chilli and coconut milk. I am not usually a fan of Asian deserts, but these were outstanding. 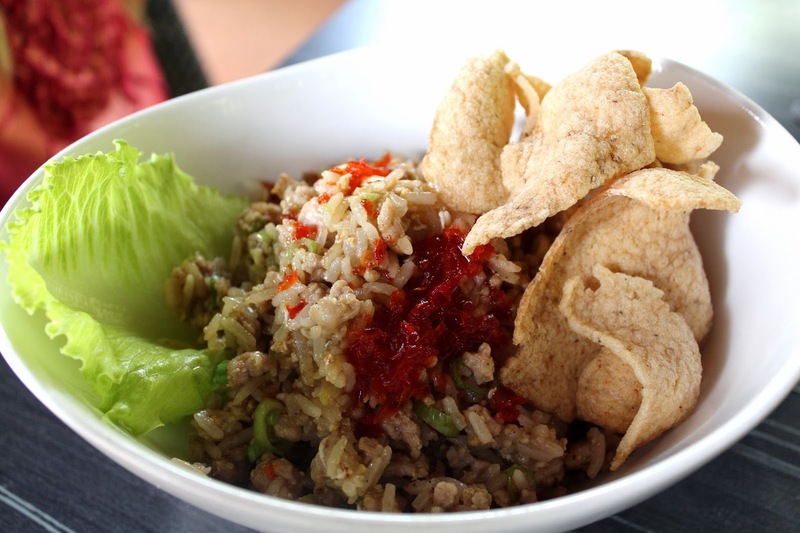 There is also a mildly spiced kid's chicken fried rice, plus a dessert of ice cream for $25. There is no kids menu per se, nor are there high chairs. The Littlest Beach House Brat gobbled her fried rice up. The helping is generous, but sadly we forgot to collect her doggy bag on the way out. The service was excellent and infact, was the best we received on the coast, the whole holiday. 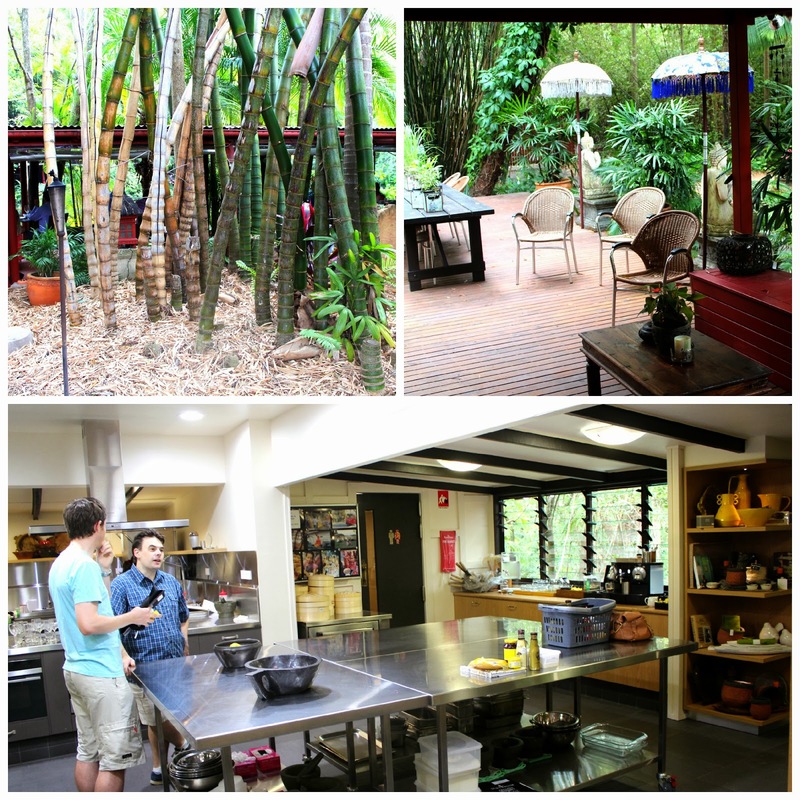 The Spirit House also offers hands on cooking courses, in a recently renovated and air conditioned kitchen. After the class, you are invited to sit down as a group and dine on the results, with your fellow class members. The courses cost $150 and are held by day (9.30am to 2pm) and on Friday and Saturday night (4.30pm to 9pm). The tariff also includes an apron, recipes and wine. 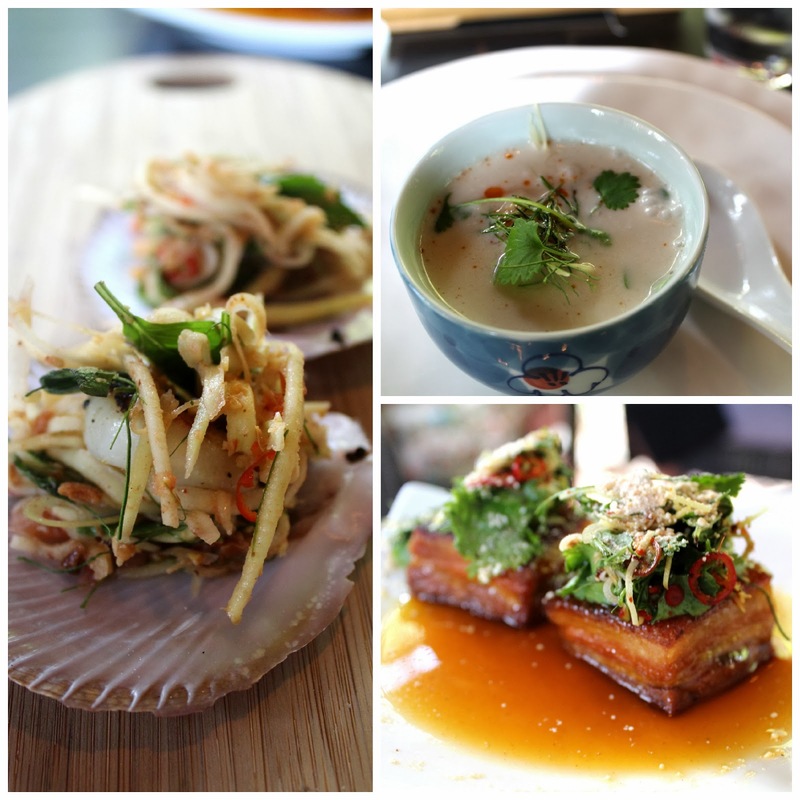 The Spirit House also conducts tag along tours to Thailand and Vietnam, which involves making your own way there and tagging along with Spirit House Chefs for 4 days of foody discoveries. That sounds like something I want to do. We were there to celebrate my parents' wedding anniversary. Mum and dad had been to The Spirit House many times before, so mum was a little bit sad dad was missing, but it was still a very happy occasion and I thanked her for being such a top mum and for all that she has given me in life. I guess when you get to 80 and have everything materially you could possibly want, it is these kinds of pleasures experienced, with people you love, that really bring joy and happiness into your life. Open daily, for lunch from midday and Wed-Sat nights for dinner from 6pm. Oh Carolyn. I'm so envious. I've always wanted to go do a cooking class there and visit. In fact, my ex gave me a gift voucher there for a class while we were still together and I haven't got there. It is definitely on my list to do this year. It looks absolutely gorgeous. Anne you must use that voucher stat. You would absolutely love it. Do the cooking course if you can, because you get lunch with wine as well. I am definitely going to do a course, when next I return to the Sunshine Coast. What a lovely place. I found myself relaxing just looking around. The food also looks absolutely delicious. How nice to spend time with your Mom at a place that has such great memories for her. Lovely. It truly was a lovely way to spend an afternoon with my mum and daughter. the food looks and sounds fabulous, and the whole place looks divine! This is an awesome post. Beautiful. This is a place where I want to be. What a fabulous final photo of the three generations of mothers and daughters in your family, how lovely. 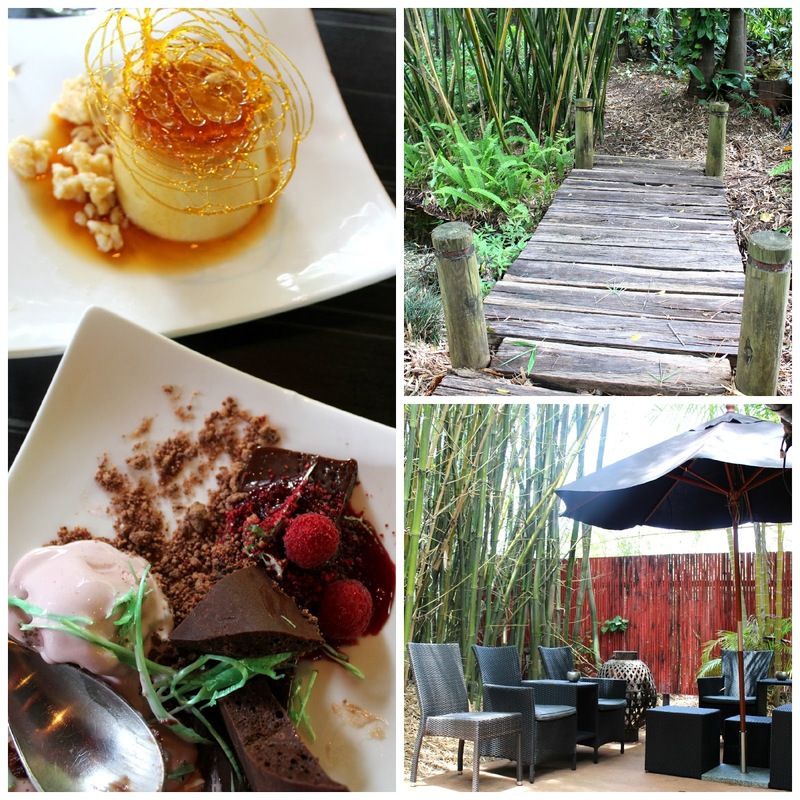 When we were at the Sunshine Coast in October, a lady raved to me about this restaurant and now your beautiful photos and description have cemented it into my mind and onto that foodie bucket list. And how fab would it be to do a cooking class?? Fantastic post, off to share. It looks so exotic to my eyes! Wish I could visit a day! Love the photos you took, really flawlessly executed! 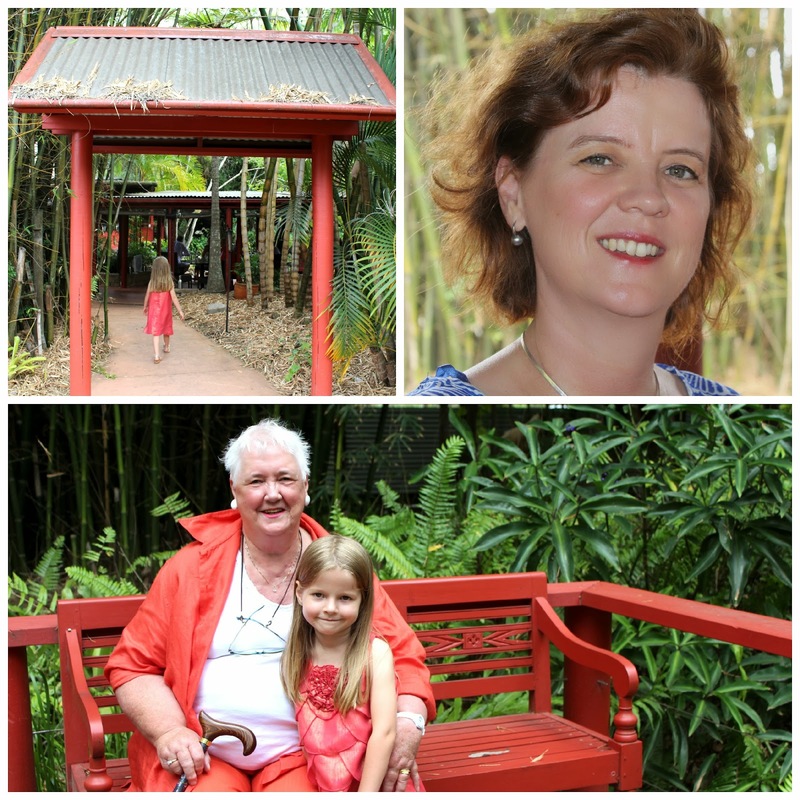 I'm so enjoying your beautiful posts from Noosa. It's whetting my appetite for our trip there on Thursday. Can't wait. 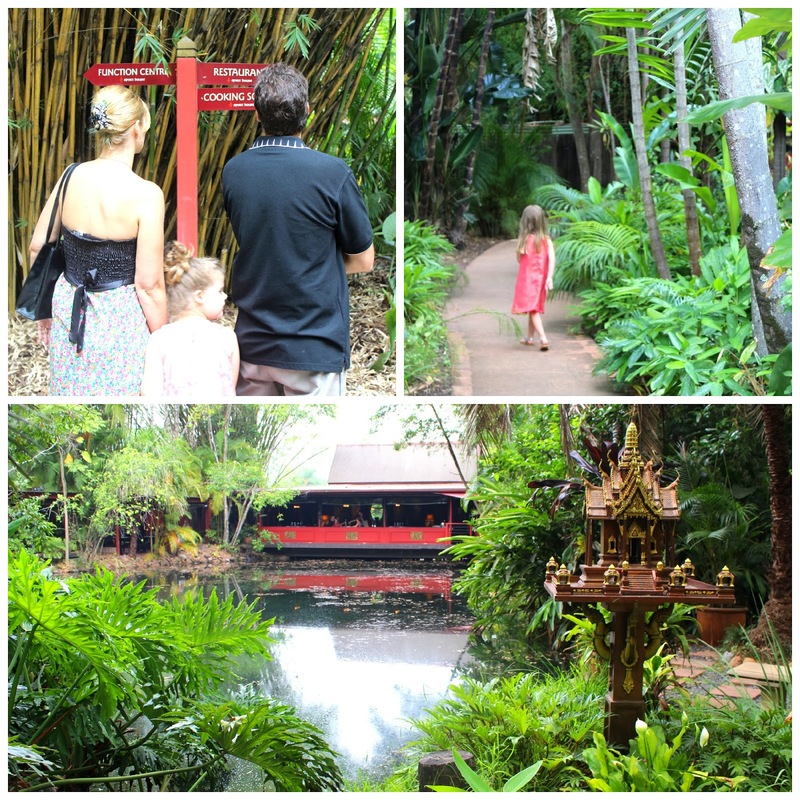 Will add Yandina to the list of places to see, perhaps without kids! Still don't have internet access at home, so I'm in my husband's serviced office for a few hours to try to catch up on emails and make a few quick comments on blogs. Sorry I'm so out of touch. Nightmare! Tag along tour to Thailand sounds like my kind of thing! I love Spirit House and I have all of their cookbooks. Glad to hear it's still just as fabulous as ever. The last time we were in Noosa we were unable to get into the restaurant and ended up in some place on Hastings Street serving crap food at burglar prices. I was so sad!